​The story of the late ​Aaron Hernandez is infamous around the NFL as the former Patriots tight end rapidly rose to stardom but came crashing down just as quickly. One would expect Hernandez to be a touchy topic around the ​Patriots' facilities, but apparently that is not the case. According to Patriots tight end ​Stephen Anderson, ​New England doesn't shy away from mentioning Hernandez. In fact, Anderson claims that he "always hears about Hernandez" during practice, so he has actually been studying his film. That's definitely odd that a player with such a tragic story is still being used to both motivate and educate the Patriots' tight end unit. Anderson is trying to learn how better to play his position but to include Hernandez in a list of players to model his game around is certainly an interesting tactic. Clearly Belichick is trying to focus on the highlights of Hernandez's NFL career, rather than his off-field transgressions. 14 weeks later, we meet again. The Patriots' focus should be entirely on their ​AFC Championship matchup with the ​Chiefs which takes place this coming weekend. 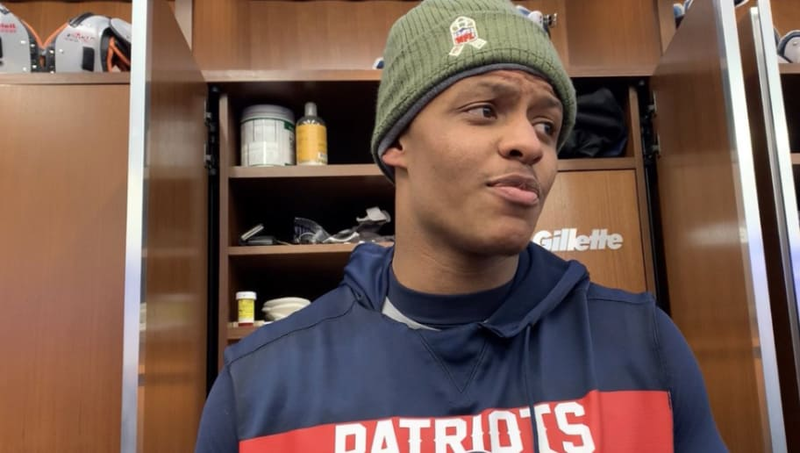 Still, it's hard to ignore such a dramatic story that stems straight from the team's locker room, so it does make some sense that Hernandez would become an occasional topic of discussion.